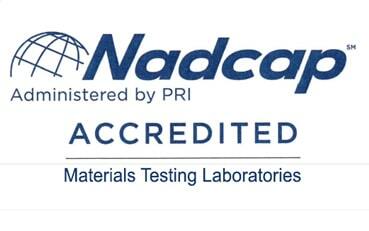 Expedited Differential Scanning Calorimetry (DSC) Services Are Available - Contact Us Today at 724-537-3131 or us.sales@wmtr.com. 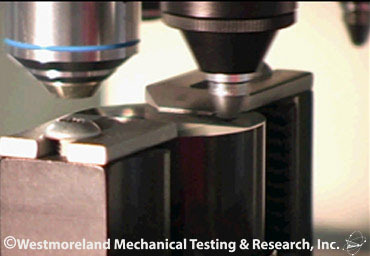 Differential Scanning Calorimetry (DSC) is a thermal analysis technique that Westmoreland Mechanical Testing & Research uses to measure the amount of energy absorbed or released by a sample when it is heated or cooled, providing quantitative and qualitative data on endothermic and exothermic processes. 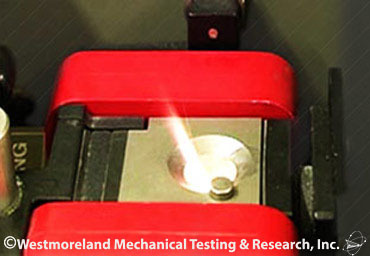 This test method consists of heating or cooling the test material at a controlled rate under a specified purge gas at a controlled flow rate and continuously monitoring with a suitable sensing device the difference in heat input between a reference material and a test material due to energy changes in the material. A transition is marked by absorption or release of energy by the specimen resulting in a corresponding endothermic or exothermic peak or baseline shift in the heating or cooling curve. Areas under the crystallization exotherm or fusion endotherm of the test materials are compared against the respective areas obtained by the treatment of a well-characterized standard. 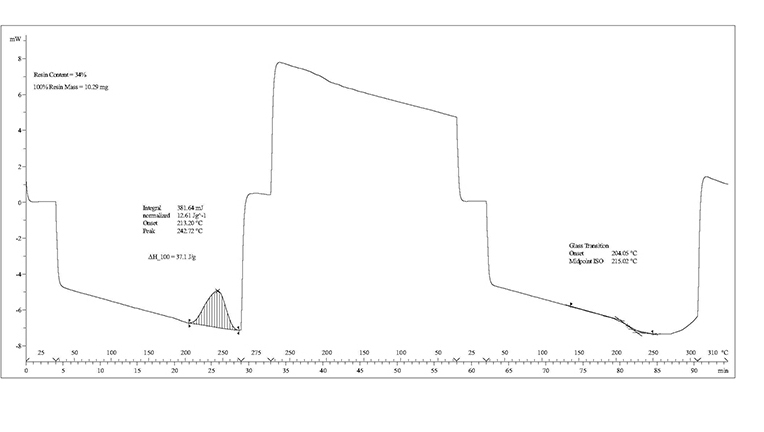 Differential Scanning Calorimetry (DSC) provides a rapid test method for determining changes in specific heat capacity in a homogeneous material. 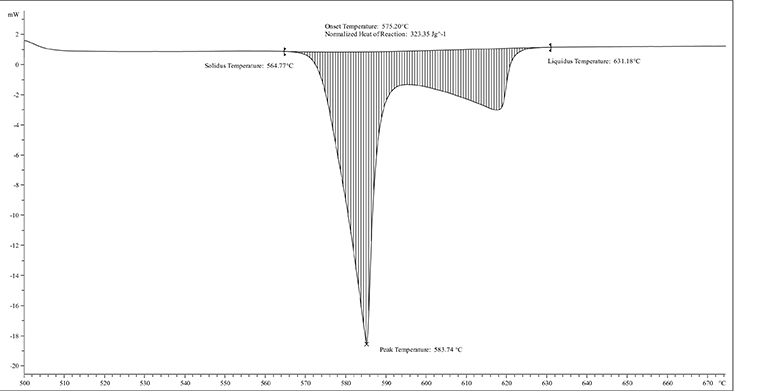 The glass transition is manifested as a step change in specific heat capacity. For amorphous and semi-crystalline materials the determination of the glass transition temperature may lead to important information about their thermal history, processing conditions, stability, progress of chemical reactions, and mechanical and electrical behavior. 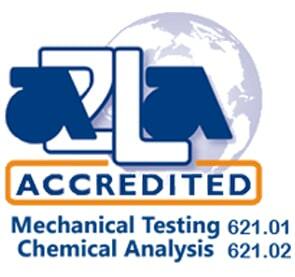 Need more Information on Differential Scanning Calorimetry (DSC) Testing? Contact Us Today at 724-537-3131 or us.sales@wmtr.com. 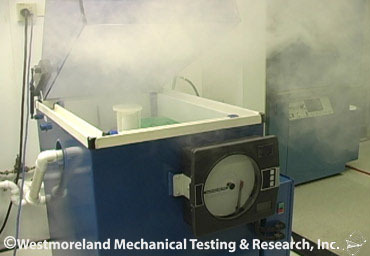 This test method involves continuously monitoring the difference in heat flow into, or temperature between a reference material and a test material when they are heated or cooled at a controlled rate through the glass transition region of the test material and analyzing the resultant thermal curve to provide the glass transition temperature. This test method consists of heating the test material at a controlled rate in a controlled atmosphere through the region of interest. The difference in heat flow into the test material and a reference material or blank due to energy changes in the material is continually monitored and recorded.